OPTIMIZING your website for speed is important for search engine optimization .To provide a consistent user experience for your mobile and desktop users you need to optimize website to to load it quickly. As you know your website load time depends on a variety of factors such as server speed, website file size, code, etc. In this post we are taking a look at optimizing your site size by compressing images and minifying css & js codes. You may have used Google’s pagespeed insights tool. It provides a very good report on how to optimize your site. What you may not know is that they also provide you a zip file with all the optimized resources for your website. 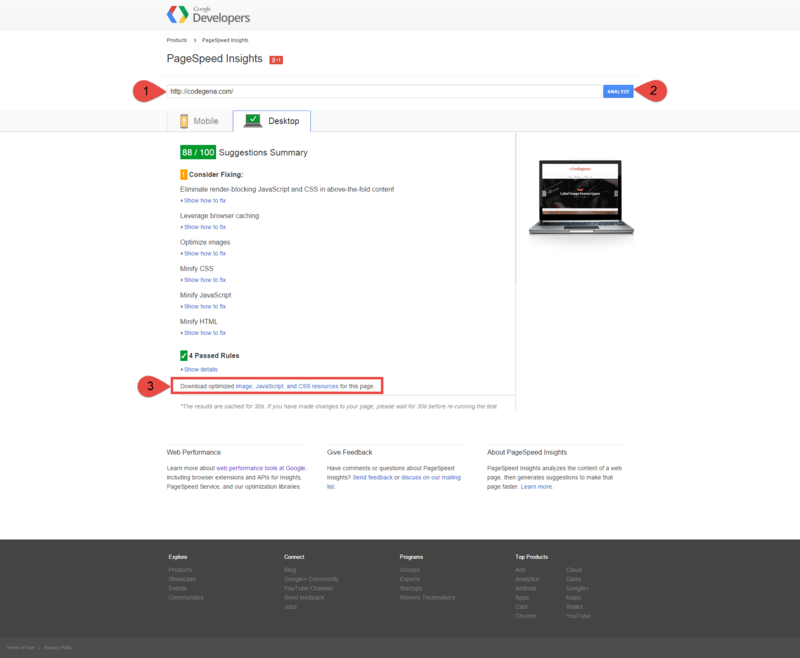 Follow the below instructions to download the optimized files from Google’s pagespeed insights. Switch to the Desktop tab and below passed rules you will find the link to download the optimized files. Download and extract the folder and replace your existing files with this one. Download and extract the folder. The above mentioned steps will only help you download the optimized files. For the best possible user experience fix all the issues that the insight tool points out. Leave a comment if you need help.